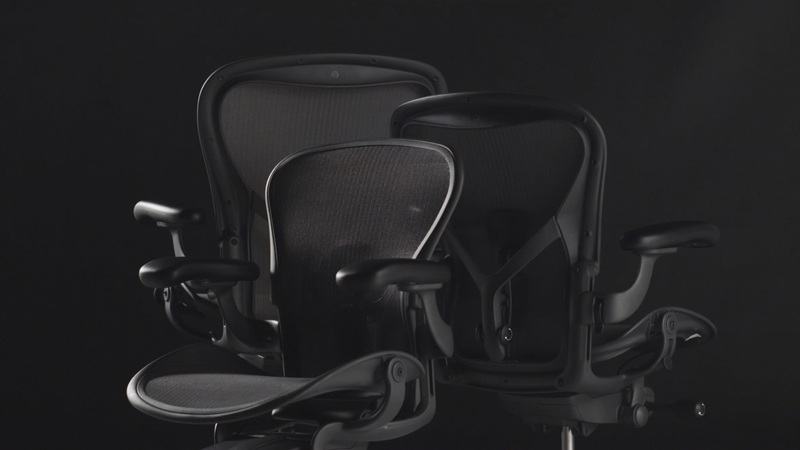 An iconic design has been revamped as Herman Miller announces a new remastered Aeron. Herman Miller has produced some of the most iconic chair designs of all time, including designs such as the Eames lounge chair. The original Aeron was launched in 1994 but has now been remastered to better suit the modern workplace. It’s set to be just as popular as the original Aeron and demand for the chair is expected to be huge. It provides some great new features while still retaining the original design of the Aeron that was so popular. The chair will be available to purchase early in 2017 and we're sharing some of the exciting new features of the chair in anticipation. Why change an iconic design? With such an iconic design and a chair that continues to prove popular, why is there a need to change it? Herman Miller is a brand that’s committed to delivering high-quality products that offer the best to their customers. The Aeron is an iconic chair design but a lot has changed since it first debuted in 1994. That’s why the company have decided to remaster the chair and make it more suited to the modern workplace. 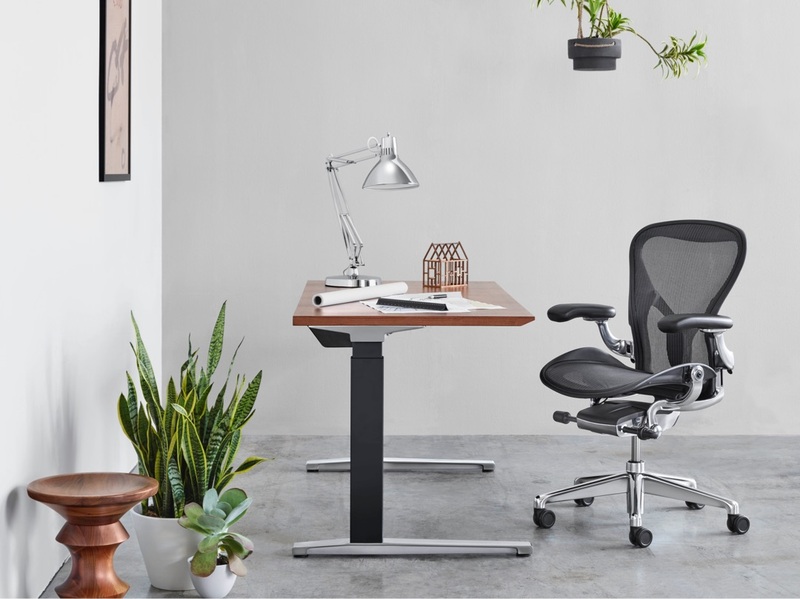 Herman Miller has recruited the co-designer of the original Aeron, Don Chadwick, to improve on the design and create a modern take on the classic chair. One of the first changes that Aeron looked into was making sure the chair offered the right ergonomic support for modern workers. It’s important that an office chair gives you the right support for long periods of the day spent sat at a desk. The Aeron has always given ergonomic support but the new design has improved on the classic chair. The seat back now has pressure distribution zones of varying tension to support your posture where it needs it. It also offers greater aeration and allows the body to breathe. An updated tilt mechanism delivers smoother trajectory and a new PostureFit SL design provides individual lumbar pads. An important element of the Aeron’s design is its adaptability to suit different working conditions. This has been considered in the redesign of the Aeron with a natural posture and seamless fit to the chair. Herman Miller have also improved the customised design that allows the user to find the perfect seating arrangement to suit their needs. It’s now easier than ever to achieve the perfect seating position and will only take 13 turns or less. That means that it’s less complicated to find the perfect seating position and you don’t have to spend as long adjusting your chair as you have done previously. Many chair designs only come in one size but this isn’t necessarily best for posture when it comes to an array of different heights. That’s why the new Herman Miller has been designed with everyone in mind and it will now come in three different size categories to better suit the individual. With three different sizes of the chair to choose from you can be sure to get the perfect fit to suit your needs. The sizing is as simple as A, B, C and there is a handy size chart to tell you which one is best suited to your body shape. Another important element that makes the Aeron such an iconic design is the careful use of materials. It’s important to Herman Miller that they install a cradle-to-cradle design that is sustainable long term. The Aeron is made from 39 percent recycled content and 91 percent of the chair is recyclable. They have also gone one step further with the new chair by making it 1.36kg lighter than the original. It now comes in 3 different designs that are made to suit the modern workplace and includes carefully selected materials.